Meet in the classroom to start the day with freeplay. 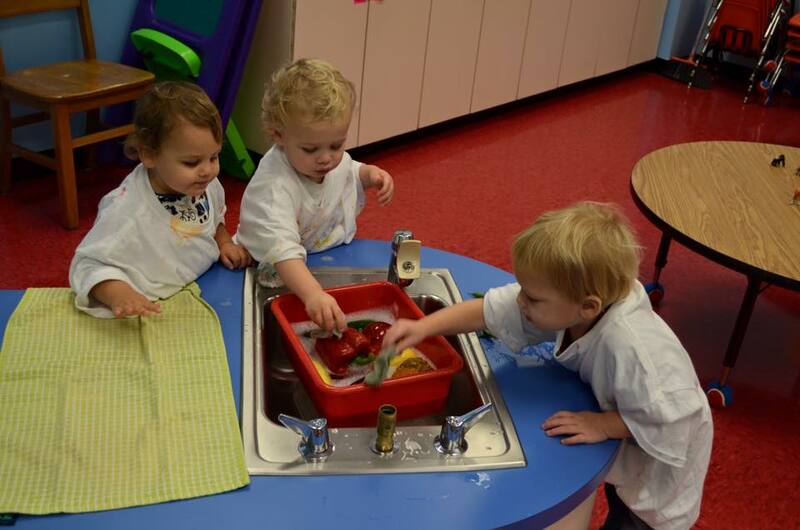 All toys provide gross and fine motor development. Play time provides children with age-appropriate opportunities to enhance their imagination, problem-solving skills, and social cognition. There are multiple opportunities for sensory and fine motor activities. Children also engage with teachers one-on-one during playtime and explore creativity through the use of process art. Gross motor time in the gym or on the playground. The two youngest classes share this time playing with one another and the teachers in our fully equipped gym and playground. Snack time! The children eat together with the snack provided from home. Music, movement, and diaper changes happen during this time. Children may sing, dance, and play instruments. Storytime! Teachers read stories, sing songs, and use a variety of visual aids to provide children with concept of words and symbols while reinforcing their listening skills. Buggy ride! 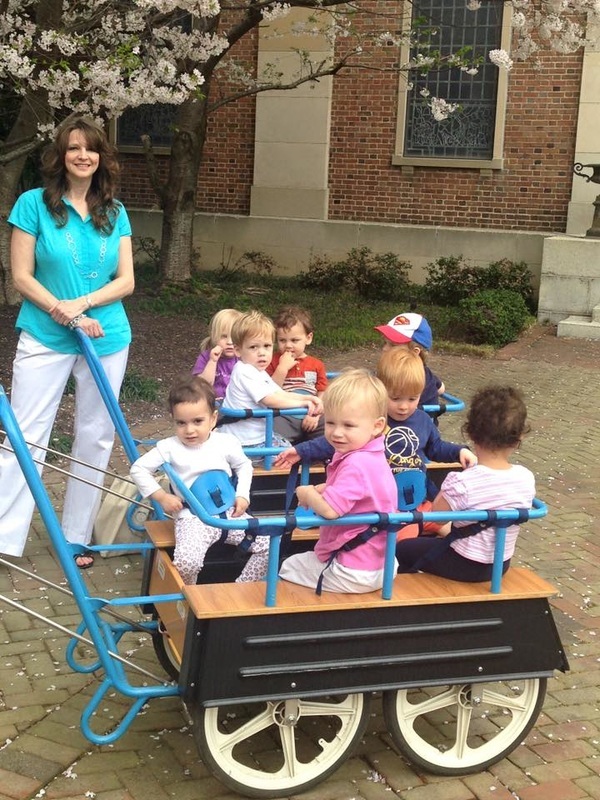 Buckled into our specially-designed buggies, children will explore The Fan. Teachers converse with the children throughout the walk to increase oral language development, practice observation skills, and explore nature. taking the opportunity to practice words and use observation skills. The walks ends at 12:00pm when the buggies line up on the front portico for pick-up.